On today’s episode we talk with Natashia McLean of Canary Jane about the impact we can make on each others lives simply by reaching out to those who are going through similar experiences as ourselves, as well as insights into healthy ways to monitor our emotions and judgment of others and ourselves as we go through the grieving process. We journey with Natashia on the journey of her two miscarriages in one year. 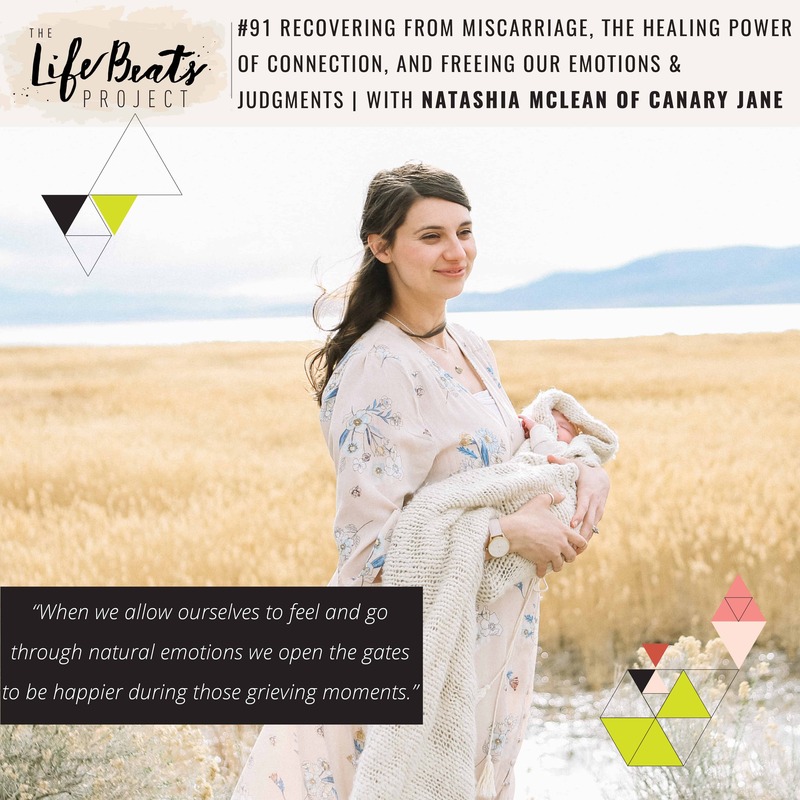 Natashia is the illustrator and blogger behind the DIY, lifestyle blog Canary Jane where she shares her adventures in motherhood with a goal to help others know they are not alone. Today she brings us back to those heart breaking moments in which she discovered that she had lost her babies and honestly shares the aches of not only the loss of the pregnancy but the loss of the idea of that child and that life. She shares life-saving things such as friends who came into her life who had gone through similar experiences and carried her through with their empathy and connection. She talks about being self-aware of when things became too much in her recovery and being able to recognize judgment and examining it, both for others and herself. She also talks about allowing ourselves to feel the emotions and not suppress them, but also protecting herself through that process by letting others know she wasn’t ready to talk about it. We end the episode with her sharing about her beautiful rainbow baby and all those emotions that come with bringing that baby into the world. Listen and be inspired to speak up and reach out to support those in our village, to give ourselves grace as we process grief but also to stand up and protect that process from others.